I’ll be the first to say I was clueless about Amiibos. I actively avoided articles about them, reviews, basically anything that had that Amiibo logo on it. When I first witnessed them, I viewed them like Skylanders and Disney Infinity great little figurines for kids to use with their games. With further investigation, I read more about Amiibos and that is when my confusion began. The first time I had seen Skylanders it was pretty clear that you needed the physical objects to play the games, these where games designed around the integration of using these cool little figures but Amiibos seen different and are essentially DLC for games that you don’t even need them in order to play the game, they are custom memory cards. It seemed like and still does to me that these Amiibos were afterthoughts by Nintendo who seen how amazingly well Skylanders and Disney Infinity had performed and now they want to cash in on some of this action. Who wouldn’t want a piece of this action? As of this month the Skylanders series has made over $3 billion in sales, with 175 million toys sold since its release in 2011. Winning countless awards like Game of the Year and Innovative Toy of the Year also being one of the top 20 highest-selling video game franchises of all time. Yet I still feel like Nintendo has gone at this all wrong. As of now Nintendo hasn’t released any games that need Amiibos, games that are specifically designed around the integration of Amiibos and this concerns me. I can now sense that this might create this pressure that new nintendo games must have Amiibo integration in them, how long before you actually do need to carry around poke balls in order to play with you favourite Pokemon. You see these kinds of things happen all the time in gaming right now. Everyone started preordering games, the games became rushed to completion and we were left with subpar quality like Assassins Creed: Unity. 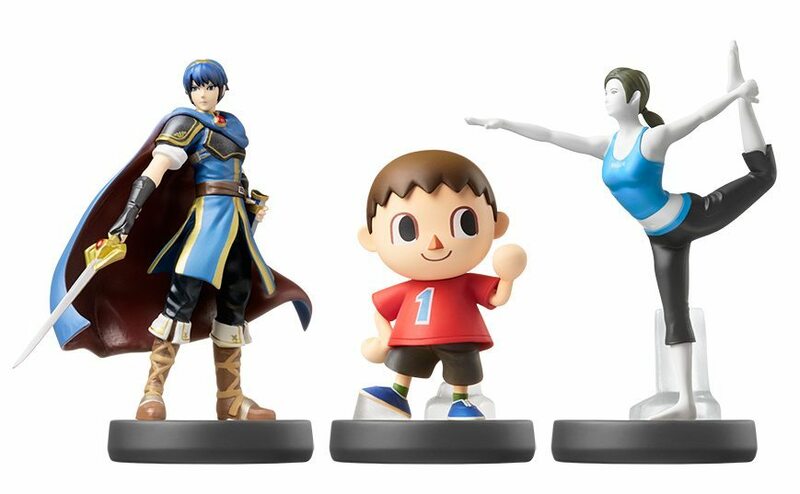 We see ourselves getting less and less of a game unless you want to pay to play or get the rest of the game in DLC, how long before you find yourselves trolling the internet to find a specific Amiibo because unless you have the Amiibo you can no longer play that character. What if it gets to the stage of no longer hunting through Hoenn or Kanto for your Pokemon but your speed bidding your way through eBay for your shiny Amiibo. Right now to me these Amiibos are nothing but great looking expensive memory sticks and only time will tell whether they will push our boundaries of gaming in the years to come blurring the space between the virtual world and the physical one or if in a few years time we will be screaming in Facebook pages over how it is ridiculous that you have to buy part a and part b of an Amiibo figure before you can use them. Sorry Nintendo they look cool but your gonna have to try harder to get my money. Previous articleAnother Star Wars Game In The Works?